Nintendo continues the trend of releasing Japanese-exclusive game character costumes on Super Mario Maker. 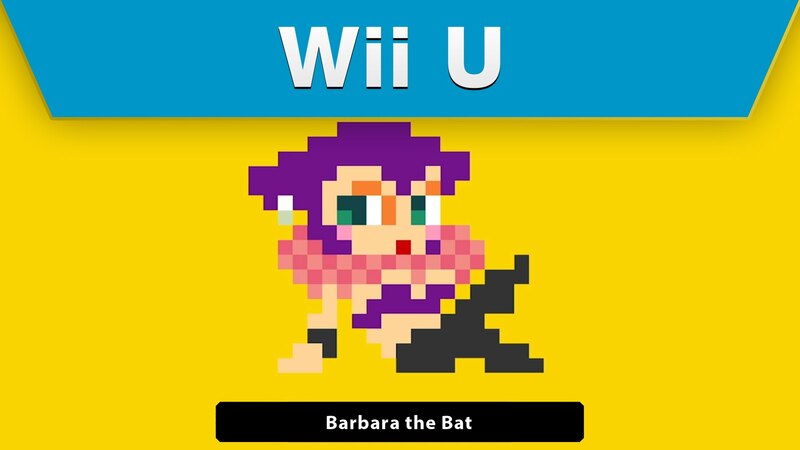 This time around it's Barbara the Bat, from the Jam with the Band rhythm game series. Jam with the Band released in 2004 for the Nintendo DS, and was popular enough to receive two sequels. However, the closest any of the games got to North America was the first sequel that came out in Europe. This just goes to show, just when you think you know all their is to know about Nintendo, they'll pop out an obscure character you've never seen to surprise you.